The keys to managing people in changing times. The world of Human Resources is full of generalizations head bring those responsible for this business area. So much so that on more than one occasion questions as whether it is better to have loyal people when choosing a team or not, if experience is the basic condition when someone incorporate a company, ask if a clause shielding is a sign of distrust to this candidate, how to develop a code of conduct or what is the best way to measure the impact on the formation of an employee, will resonate in his mind which indecipherable dilemma. 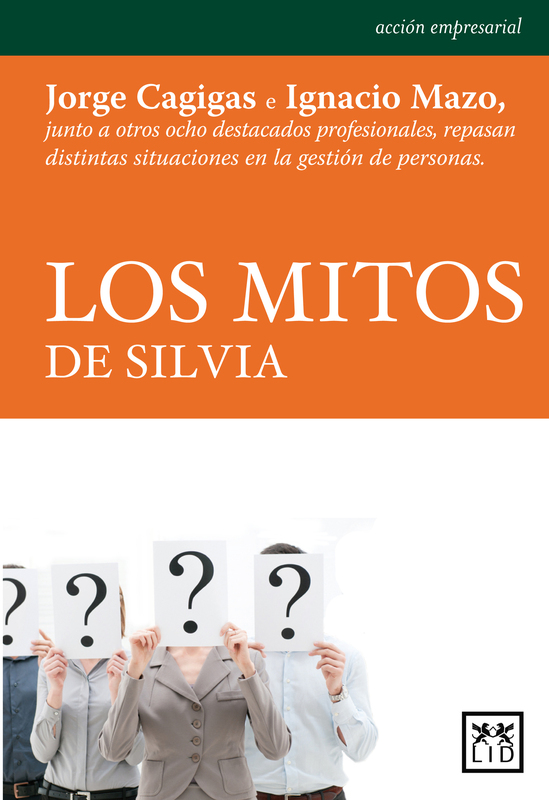 To shed light on these questions or situations, the ten authors Myths Silvia (Plácido Fajardo, Ignacio Mazo, Carlos Espinosa, Aránzazu Montes, Jorge Cagigas, Eugene de Andrés, Juan Pablo Ventosa, Llairó Amparo Diaz, Javier Martin de la Fuente and Carlos Sánchez) have developed a fun and simple manual, for sure, will help more than a professional to have the right answer in different situations or to assess whether the decision made is the best. This book is aimed at entrepreneurs, managers, HR professionals, and in general all those who are faced with the responsibility of managing people in organizations today.